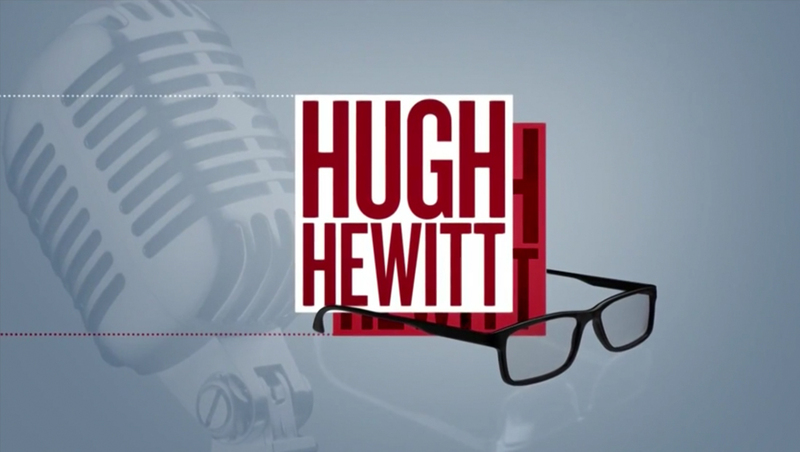 MSNBC’s latest weekend offering, “Hugh Hewitt” uses an eclectic mix of imagery to create a clean but informal feel. 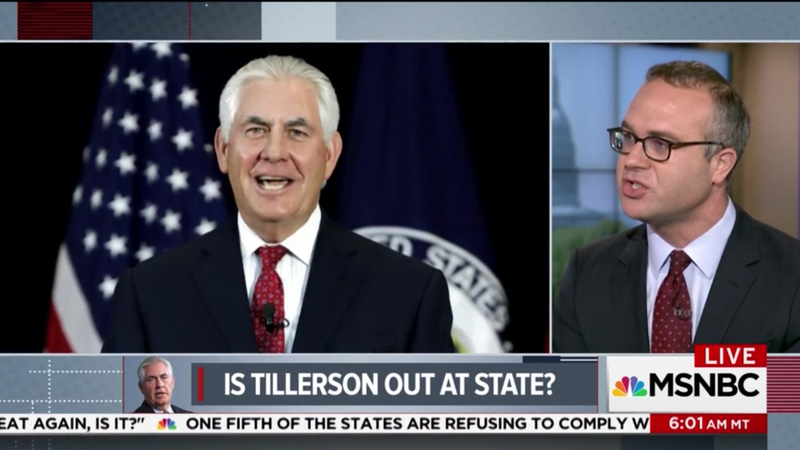 The show, hosted by Salem Radio Network host Hugh Hewitt, originates from the Washington, D.C. The open also incorporates a variety of images ranging from a coffee mug to an old-fashioned radio microphone to a small stack of newspapers and various maps, all interspersed with oversized typographical elements in a serif font. These elements are all drawn from Hewitt’s own background in radio, politics and writing, while the coffee cup is a subtle nod to the show’s timeslot. Blended in are colored bars, backgrounds and lines of white dots — all of which remain within the red, white and blue color palette but in somewhat darker, more subdued shades. Though the open uses a largely flat motif of solid colors, texture and depth is added through the use of a rough dot-like pattern. The show’s insert graphics use matching colors and textures. 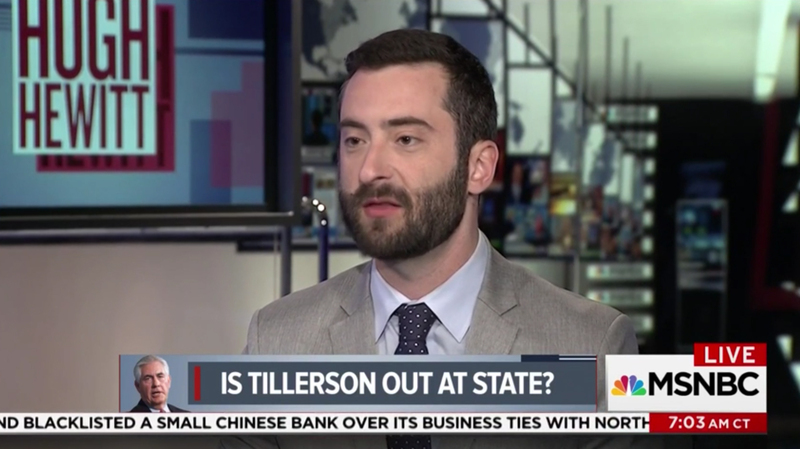 Hewitt sits on the Washington, D.C. set that originally housed “Hardball” and other programming for both MSNBC and NBC. Hewitt sits camera left with an image of White House on the video wall behind him, while guests sit in front of the printed background set extension and glass door. 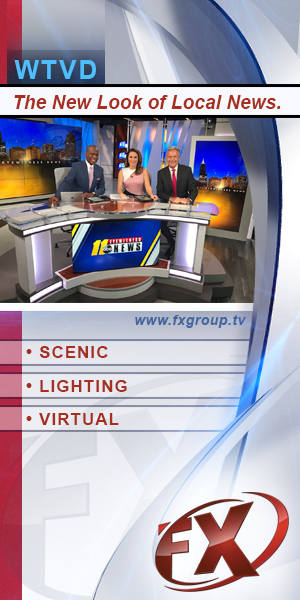 Other on-set monitors include topical graphics and other feeds of D.C. landmarks.